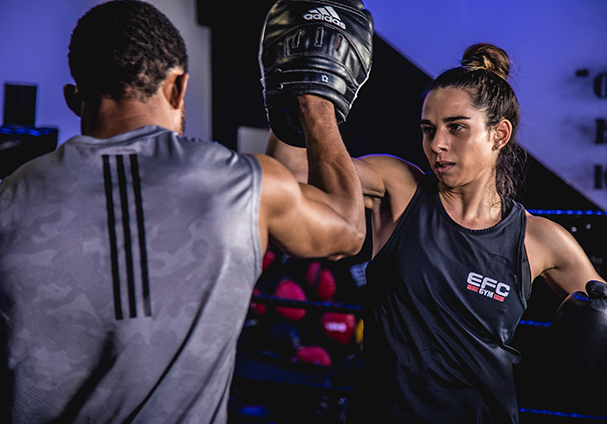 At EFC GYM we incorporate the training practices of mixed martial arts champions and professional boxers to help you get in the best shape of your life. This is not the usual gym routine – this is the ultimate fitness training, designed to work for everybody. Become part of the EFC GYM community, and we will help you achieve your goals. Fitness programmes and specialised training is designed to work for you and bring out your best, no matter your age or fitness level. 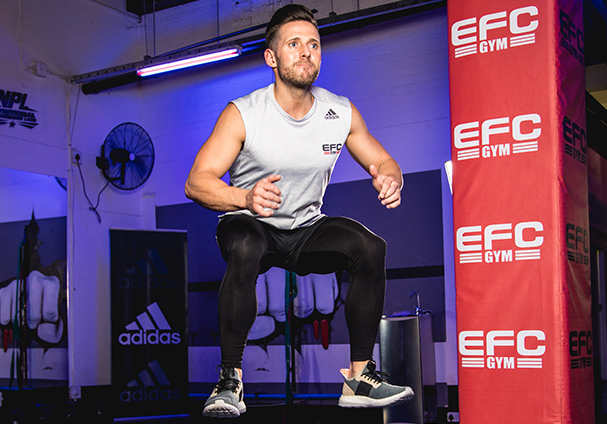 Fitness equipment and programmes designed specifically for your cardiovascular, strength training and functional training needs will help get you in the best shape of your life. Boxing Fit teaches from basic to advanced boxing skills and techniques, designed to suit your skill level. 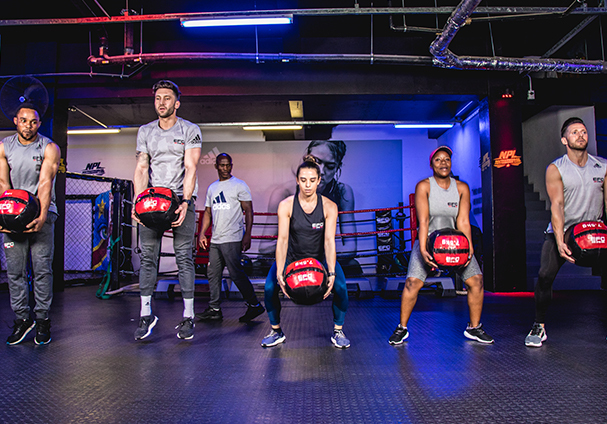 The classes will increase muscular strength and cardio endurance, and incorporate boxing and boxercise, bag work, cardio and core strengthening exercises. Get stronger and fitter together. Our group classes are a fun way to get fit and stay motivated, with a variety of unique and specialised workout programmes to choose from, incorporating boxing and various martial arts as well as cardio programmes, to suit your specific goals and fitness level. Classes currently include: BOXFIT, EFC FIT, BOXERCISE and more! Our trainers provide one-on-one training to assist in enhancing your individual performance, as well as offering focussed coaching on a range of boxing and different martial arts disciplines. Fitness for everyone, any age. 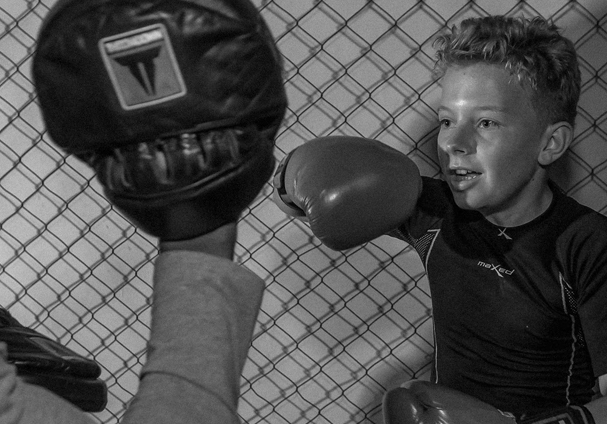 The EFC GYM youth classes focus on coordination, speed, strength and agility and are designed to give your kid motivation and confidence to carry with them throughout their lives. 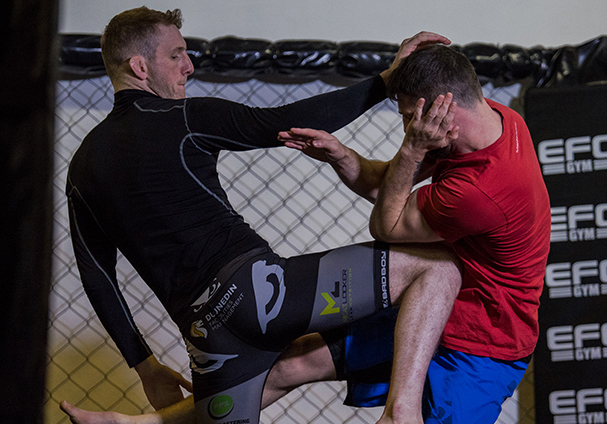 Train like an EFC champion. A regimen of cross-functional MMA and boxing training designed to build exceptional strength, stamina and discipline to help you get in ultimate shape and keep you there.